"NATO is costing us a fortune... we're protecting Europe with NATO but we're spending a lot of money." For the first time since the Western Alliance's formation in 1949 Europe has been faced with the prospect of a European security structure without the United States. Almost overnight a US Presidential hopeful, Donald Trump, shook confidence in the NATO Alliance to its core by floating the idea of American disengagement. By framing the alliance as "obsolete" as well as unduly burdensome to the US he has opened the discussion on a fundamental matter of Transatlantic defence and security policy. While the withdrawal of large scale American combat forces from Europe continued at a steady pace after the end of the Cold War, from 213,000 US troops assigned to European Command in 1990 the American presence has since declined to around 30,000, there was never any serious indication that a total departure was plausible. Although the number of troops was reduced, in line with a perception that the Russian threat had also collapsed, politically the United States has remained a staunch ally and a the de-facto leader of NATO. It has continued to practically support the Article 5 guarantee that "an attack on one is an attack on all" with its conventional and nuclear forces. However, now that we are presented with the threat (albeit still unlikely and remote) of a more or less complete US withdrawal from the alliance it is worth contemplating what structure or structures might take the place of the Atlantic Alliance, should the previously unthinkable happen. As the consequences of a US departure from NATO would have vast consequences that would spread far from the borders of Europe I shall try to keep the focus of this piece on the European continent itself, rather than looking further afield to the wider effects on the Middle East and North Africa. All the following scenarios assume that the US withdraws more or less completely from European security structures, potentially continuing to lease a handful of strategic depots and bases for their own purposes, but otherwise dispensing with the all-important political guarantee of security, currently provided by their participation in NATO. What follows will be a series of articles examining some of the possible alternatives, their relative merits and weaknesses and an assessment of their potential consequences. The logical starting point in this thought experiment would be to examine the viability of the NATO alliance without the support and resources of the United States. The immediate, and most mundane, problem facing the remaining 27 NATO members would be covering the funding gap that would be left by an American departure. Some 22% of the Alliance's budget (around €300 million in 2016) is currently funded by the United States, and that money would have to be found in order to maintain the civilian and military apparatus required for the organisation's administration. It seems likely that the four largest European contributors: Germany (14.6%), France (10.6%), the UK (9.8%) and Italy (8.4%) would bear the greatest proportion of the additional cost. A number of Eastern European countries, Poland foremost amongst them, may also be willing to accept the burden of a larger contribution to the NATO budget, as their proximity to Russia underscores the benefits of keeping the alliance going. However, the relative contribution of Eastern European states will likely remain small (collectively the 11 East European and Baltic states contribute ~7.2%) when compared with the major Western European contributors. Additionally, the burden would add yet more pressure to already overstretched national budgets at a time when economic growth on the continent remains largely stagnant or unimpressive. 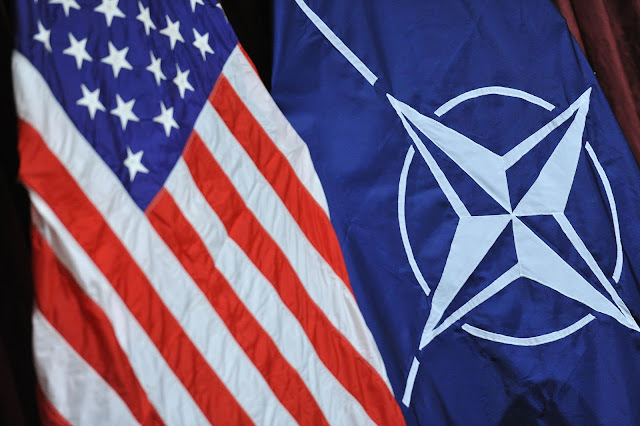 While the United States is currently the de-facto leader of the NATO alliance, essentially primus inter pares, following its withdrawal the matter of leadership could become a point of contention. While on the surface the UK would be best placed to assume many of the command duties currently performed by US officers in NATO headquarters, having historically assumed key second in command roles, other members may be eager to recast the alliance as an institution no longer run and dominated by anglosphere nations. This attitude may also be inflamed by the perception of US withdrawal as a "betrayal" of the European continent, while the continuance of close Anglo-American ties outside of the "NATO Minus" alliance could further undermine the UK's chances of naturally assuming part or all of the US' current role. If not the UK, then France would be the next logical candidate; possessing modern and deployable armed forces similar to the UK's. However, France's relationship with NATO has historically been rocky, only recently returning to NATO's military command structure in 2009. This places France in the awkward position of only having had a comparatively short period of time to rebuild its experience of operating within NATO military structures and fears of a lack of commitment to the alliance could undermine France's potential to lead it. As the alliance's foremost economic power, and a committed member since 1955, Germany would certainly be a superficially attractive leader. However, constitutional issues with the use of force outside its borders and the burdens of history all but preclude this as a realistic option. Similarly, while Turkey would be unlikely to be able to leverage its position as the foremost land power in NATO to win leadership of the alliance its stature and relative status and importance within the organisation would probably rise. Ultimately no single member could fill the US' shoes as de-facto leader of the NATO alliance, the most likely outcome in the author's opinion would be that Britain and France would share the bulk of the posts vacated by the United States amongst themselves. However, continued close relations between Britain and the US as well as perception of a lack of French commitment to the alliance could undermine such an arrangement, in extremis this could even lead to the collapse of the entire organisation. Beyond the budgetary demands of simply keeping the institutions intact more or less in their current form the NATO alliance would suffer a sudden and dramatic degradation of its conventional land capabilities. Although the alliance's European military forces would remain largely intact on paper, a significant proportion of the crucial rapidly deployable conventional formations would disappear. It is estimated that in just over a week the Russian Federation can generate up to 27 brigades near its border with the Baltic states, a significant proportion of which would be "heavy" formations: Mechanised or Armoured. In comparison, the NATO Very High Readiness Joint Task Force (VJTF) could optimistically deploy three light airborne infantry brigades, a US armoured brigade combat team (BCT) and a medium weight Stryker BCT. Although it's possible that the remaining European members could replace those formations on paper, high readiness levels and appropriate positioning are the critical factors that make the US formations so vital. Positioned, as they are, in Eastern Germany it would prove difficult and costly to replace them by moving existing Western European forces with broadly equivalent combat power and readiness. Such forces would, in the short term at least, undoubtedly have to be Anglo-French and would likely scupper the British Army's intention to withdraw itself from its legacy Cold War bases in Germany. In the longer term it is possible that they could be replaced by new German formations, although constitutional and historical issues could potentially undermine a German-dominated VJTF if it remains committed to forward deployment in order to protect Eastern NATO members. Another major issue is the current lack of experience and training for conventional war fighting activities. A decade of low-intensity counter insurgency operations in Afghanistan has left most European NATO members with military establishments that severely neglected their conventional arms. Rebuilding these capabilities will not come easy, requiring a concerted effort to re-learn and retain a raft of vital but highly perishable skills. One of the most concerning aspects of this problem is that, due to budgetary constraints, large-scale multinational training exercises have become increasingly few and far between. In order for the "NATO Minus" organisation to constitute a credible conventional deterrent to Russia it would have to address these problems, at great expense to its members. Alongside the problems that would arise with alliance's continued ability to respond to a crisis on its frontiers, the withdrawal of the United States would have significant ramifications for its ability to conduct any conventional operations over an extended period of time. 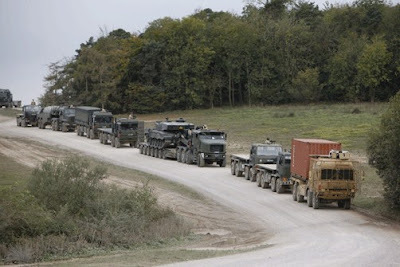 For many years there has been recognition of the deficiencies in theater-level logistics amongst European NATO members. In 2012 it was recognised that all but a few members of the alliance were incapable of independently deploying and sustaining their armed forces. Without US logistical support structures to count on many nations would find their military forces to be more or less immobile at the theater level, with undersized sustainment elements, and ill-equipped in terms of logistics to engage in protracted high-intensity combat operations. Rectifying or mitigating this critical issue would be an extremely high priority for European defence establishments if they wished to retain a credible conventional power. Recent war games simulating a conflict with Russia over the Baltic States suggested that while the VJTF would be rapidly overrun, in the longer-term NATO could potentially choose to mount a counterattack to restore the territorial integrity of its members. Without the robust logistical structures that the US Armed forces would bring to such an operation it is doubtful that the European members alone could achieve this outcome. Without the United States the existing problems inherent in the defence of NATO's most exposed members in Eastern Europe will be compounded significantly. With no large reserve force from the Continental United States available, as a conventional bulwark against Russia's ability to prevail in a "long war" scenario, the remaining European members would be left with very few good options. Essentially it would be a return to the extremely unbalanced conventional situation last seen during the Cold War, with token forces from "NATO Minus" acting as a more or less conventionally impotent nuclear tripwire. However, even this extremely circumscribed role would be of dubious value; considering the relative balance of nuclear forces. US withdrawal would undoubtedly gravely degrade the remainder of NATO in this area. Taken together the total nuclear stockpiles of the "NATO Minus" organisation would amount to some ~500 weapons, or just over a tenth of the total US arsenal. The situation worsens significantly when delivery systems are taken into account, at most the Anglo-French strategic deterrents could deliver sustainable continuous at sea deterrence for the NATO area with two SSBNs carrying ~250 warheads between them. Even that figure presumes an increase in the number of missiles carried and a substantial uplift in the number of warheads fitted to them, over current levels and close to the maximum number of operationally available weapons for both countries. However, if current Anglo-French nuclear planning were to continue unchanged, that figure would be closer to 100 warheads mated to delivery systems and ready at short notice. This scenario presumes that the NATO nuclear sharing agreement would also come to an end, limiting the alliance's air-delivered tactical nuclear arsenal to France's 40 remaining air-delivered weapons. In such a scenario the nuclear balance would be horribly skewed in Russia's favor, with its stockpile of nearly 5,000 operationally available weapons, around 2,500 of which are mated to delivery systems. Even in the "best-case scenario", where Anglo-French nuclear forces are enlarged to the limits of what their current delivery systems and stockpiles could sustain, a nuclear guarantee of the whole European NATO area with only these forces would lack credibility. This possibility could leave the alliance open to nuclear blackmail from Russia, should the enfeebled deterrent fail to deter a conventional conflict. With such a wide margin of superiority in this field the Russians might also become emboldened to attack a NATO member and fatally undermine or collapse the alliance, judging that a nuclear response from either Britain or France would be extremely unlikely, given the vast disparity in forces. At sea, the situation appears better with "NATO Minus" achieving rough parity with Russia's Northern, Baltic and Black Sea fleets in the number of nuclear-powered attack submarines (14 Russian to 13 NATO) and with almost 4-1 superiority in overall numbers of conventionally powered submarines (14 Russian to 55 NATO). In terms of surface combatants NATO would maintain a clear on-paper numerical superiority over the Russian Federation (108-24), the same would be true for aircraft carriers both under construction and in-service (6-1). However, what these numbers hide is the difficulty that these European naval forces would have conducting offensive operations against key targets, such as Russia's SSBN bastions and Northern bases, without the US Navy in the lead. Degrading and defeating Russian navy that adopts a largely defensive posture, operating under an umbrella of anti access area denial capabilities, that includes long range anti-ship missiles, a comprehensive and sophisticated integrated air defence system working alongside air and naval forces, would prove difficult for the remaining NATO navies. As with its land forces, geography positioning and readiness would all be major issues in the maritime sphere. While naval forces are inherently more mobile than their counterparts on land it would be wholly unrealistic to expect Greek and Turkish conventional submarines, that would make up nearly half of the "NATO Minus" SSK force, to be able to redeploy to the North Atlantic at a moment's notice. The critical issue would be institutional experience of that environment, something that can only be developed through years of training and operating in it. 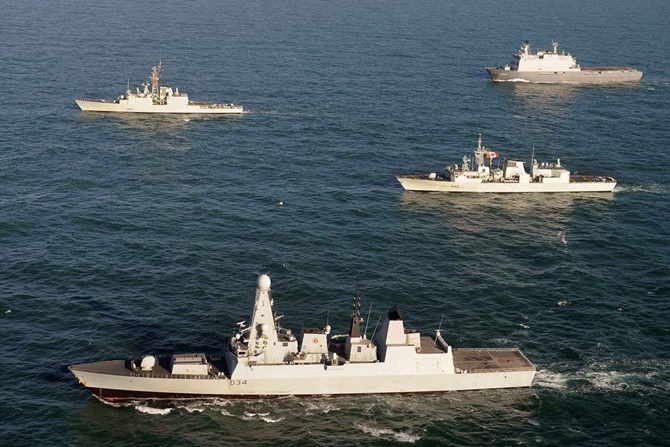 While the remaining NATO nations have a solid lead in surface combatants less than a third of them are capable and modern enough to effectively contribute to the defence of a task group, in the face of the latest generation of Russian submarine, surface and air launched anti-ship missiles. Similar worrying deficiencies could also be pointed to in the fields of anti-submarine and surface warfare. to stand a chance against the latest generation of Russian anti-ship missiles. Without the US Navy to carry a significant portion of the burden of offensive action between the Greenland-Iceland-UK (GIUK) gap and the Barents sea the alliance would find itself weakened significantly. Failure to adequately secure control over the Norwegian sea could have severe consequences for Norway, leaving its Northern territory and key air bases vulnerable to attack or seizure by Russian marine and naval forces. A contested Norwegian sea would make reinforcement of northern Norway by sea, using European marine forces, a much riskier proposition. Without the heavy equipment, amphibious and logistical capabilities of the US Marine Corps and US Sealift Command such an operation would become significantly more difficult to conduct with any real hope of success. Sustained naval activity north of the GIUK gap could plausibly be sustained logistically by dint of proximity to friendly bases in the UK and Nordic states. This could further degrade the perception that the alliance is capable of adequately defending its members, undermining confidence in the whole construct amongst those states most threatened by an increasingly assertive Russia. Maritime power projection operations further afield would also be much more difficult to support, as over half of the alliance's current auxiliary support shipping is American (counting fleet tankers, dry stores and combi-fuel/stores carriers). 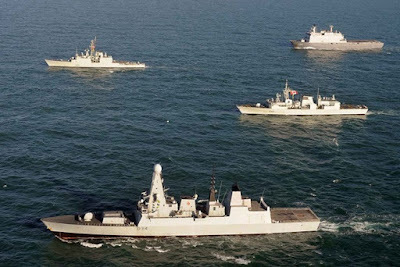 It also needs to be said, as with almost all of NATO's European assets, these are scattered across the continent and many are required as dedicated support for national naval activities. As it stands there is very little slack in the system and welding the naval auxiliaries of ten countries into a coherent logistical machine, that could approach the capabilities of the US Military Sealift Command's Combat Logistics Force, would be a very significant and, needless to say, extremely expensive undertaking. Replacing the lost capacity would require doubling the number of auxiliary support ships operated by the remaining NATO members, an unlikely prospect. Furthermore, it would become substantially more difficult for NATO to confine Russian submarine activities to the area north of the GIUK gap without the intelligence gathered by the US-controlled Integrated Undersea Surveillance System (IUSS), the successor to the Cold War SOSUS seabed hydrophone arrays. With the closure of the last European IUSS station, RAF St Mawgan, in 2009 and the transfer of all its duties to a site in Dam Neck, Virginia, there no longer exists any possibility of continuing European involvement in the system without the active support of the United States. Without IUSS detecting and tracking Russian submarines operating in the North Atlantic would become much more difficult, degrading the overall NATO anti-submarine capability across the entire region. European nations would also have to provide for additional long range maritime patrol aircraft, in order to replace the P-8 aircraft the US plans to base in Iceland. These would have to come along with replacements for the remaining members' ageing fleets of Breguet Atlantique 2s and P-3 Orions. The alliance would also undoubtedly be substantially weakened in the air by the removal of the US Third Air Force, headquartered at Ramstein Air Force Base in Western Germany, with subordinate formations spread across the continent. Not only would this entail the loss of six squadrons of fighter and attack aircraft: three F-15 squadrons based at RAF Lakenheath, two F-16 squadrons based at Aviano air base in Italy and one F-16 squadron at Spangdahlem air base in Germany, but these losses would fall upon some of the best resourced and most available air combat formations on the continent. 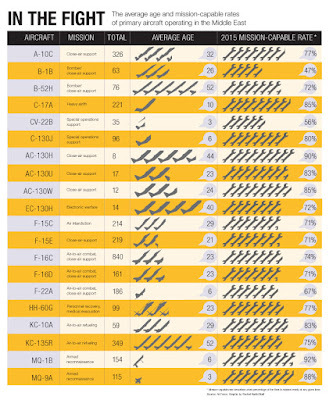 Readiness rates for USAF F-15s and F-16s varies from year to year but has remained broadly stable at between 70 and 80%. In comparison the German Air Force, a particularly egregious example amongst European NATO members, only managed to achieve 38% availability for its 109 Eurofighter Typhoons and 42% for its 89 Tornado attack and reconnaissance aircraft in 2014. Similarly, the RAF in 2015 was classifying only 60% of its Typhoons and 47% of its Tornadoes as either "front-line" or "available". Although exact figures are unavailable, reports seem to indicate that the situation is similar in the French Armée de l'Air. Although some of these problems point to the difficulties inherent in keeping old aircraft running, sometimes beyond their intended service lives, they also indicate concerning weaknesses in logistics and maintenance. 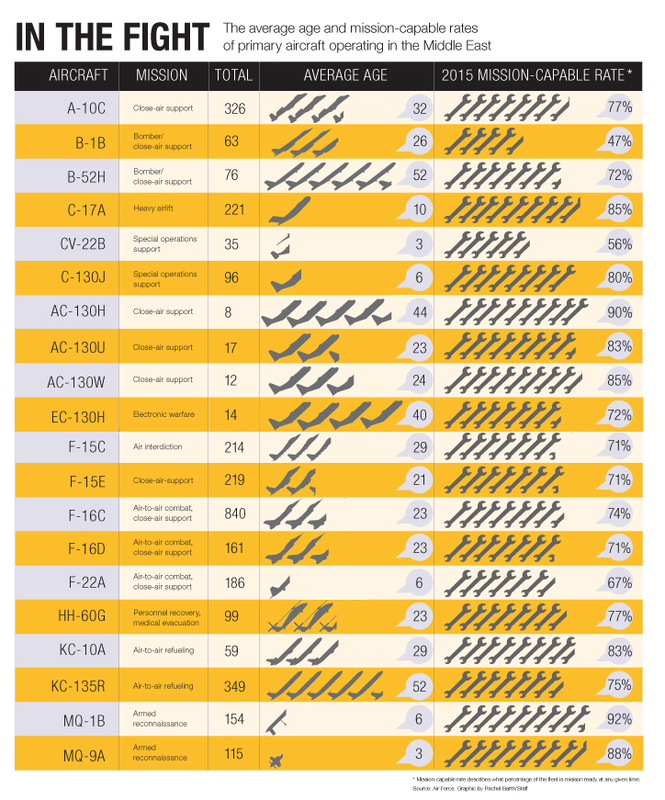 The Germans in particular have identified shortages of spare parts as a significant contributing factor to low availability rates for their combat aircraft. While European NATO members have large fleets of combat aircraft on paper the reality is that by under funding critical logistical and maintenance support structures the actual number of aircraft capable of conducting military operations is only a small portion of the overall fleet. of all the air forces currently present in the European theater. Although the Russian air force has also suffered from similar problems with low aircraft readiness rates (estimated to be 49% across the board for combat aircraft in 2013) the sheer number of combat aircraft possessed by the RuAF, 2,189 fighter and attack aircraft as of 2016, ensures that Russia would very significantly outnumber its NATO counterparts in Eastern Europe. Levels of Russian pilot training and competency have also improved significantly since the low point of the 1990s, where pilots were only receiving around 10% of the annual flight training hours of their US counterparts. As of 2012 Russian pilots of the Western Military District were receiving ~125 flight hours/year (compared to 200+ for contemporary USAF pilots). While historically NATO pilots were governed by an alliance requirement to achieve 180+ annual training hours standards appear to have been relaxed due to the cost of actually achieving this. The Armée de l'Air now operates a two-tier system where half its combat pilots receive 180 hours/year while the other half receive only 40 hours/year in combat aircraft and the remaining 140 in jet trainers, with plans to rush the second echelon pilots through a 60-90 day period of intensive training (equivalent to around 100 hours of flight time) should they be needed for front-line duties. While the USAF uses a similar system to this for its non-front-line squadrons it has sufficient depth in terms of the number of pilots and aircraft to be able to afford this two tier pilot training system. European air forces, often with fewer than 100 deployable combat aircraft, simply cannot afford to replicate this system without severely compromising their ability to act in the opening months of a major war. While the use of simulators as a means of cheaply increasing flight hours has been explored, it is still unclear how well this method of training works as a means of preparing pilots for the reality of air combat. It must also be remembered that NATO air forces would not be competing on an even playing field with Russia's, the latter having invested heavily in its sophisticated Integrated Air Defence network. The Joint Commonwealth of Independent States (Joint CIS) air defence agreement allows for the establishment of a variety of Russian missile systems, radars and aircraft in former Soviet states such as Belarus. Russian land forces would inevitably move and fight under an air defence umbrella that would significantly complicate any effort to decisively halt them from the air. Neutralising these systems would require very substantial Suppression of Enemy Air Defence (SEAD) capabilities. The only specialist SEAD aircraft in service in NATO, outside the USAF, are the 51 Tornado ECRs operated by the German and Italian air forces and Spain's F-16s. 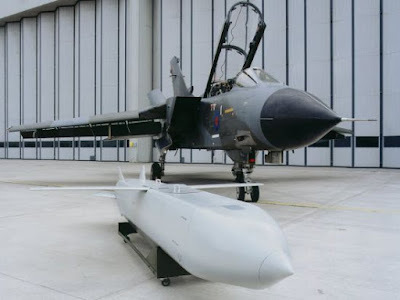 Current plans indicate that only the 16 Italian aircraft will carry the latest variant of the AGM-88 high speed anti radiation missile, the AGM-88E, required for SEAD operations. While alternative means of degrading the Russian IADS would exist within the "NATO Minus" organisation, air and sea launched cruise missiles such as Tomahawk and Storm Shadow/SCALP for example, sub-sonic missiles such as these remain vulnerable to being shot down by modern air defences and their effectiveness is by no means guaranteed. Meanwhile, plans to regenerate SEAD capabilities in the RAF with the SPEAR programme will not come to fruition for another decade. Overall the military situation for NATO, should it be abandoned by the United States, would be bleak. The alliance's existing problems would all be very significantly exacerbated. Low levels of European investment in defence have made the alliance's current structure close to unsustainable without the support of the United States. Without their nuclear and conventional guarantee the Eastern European states that joined after the end of the Cold War generally, and the Baltic States in particular, would be rendered all but indefensible. What token forces could be assembled to resist a Russian attack would be rapidly overwhelmed, while the prospect of conducting a successful conventional counteroffensive would be remote at best. Extending the Anglo-French nuclear deterrents to the whole NATO area would also be problematic, suffering from a lack of credibility due to the vast disparity in nuclear forces. It is difficult to envisage a scenario where either Britain or France would use their nuclear weapons in defence of Eastern Europe. Indeed, the alliance would be left so threadbare, in the event of the US withdrawing its security guarantees and military forces, that the situation could actually precipitate Russian action to collapse what remained of the structure by attacking one or all of the Baltic states and demonstrate the alliance's hollowness to its members and the world. If the alliance were to survive over the long term it would undoubtedly require its member states to invest significantly more of their national budgets in their military establishments, beginning a slow process of rebuilding conventional capabilities that have either been lost, pared back or badly run down. Even under relatively stable geo-political conditions such a cure would require vast expenditure and decades to take effect. In the final assessment it seems unlikely that NATO would survive American departure and if it did the remaining nations would be so badly overextended as to render the continuance of the alliance, in more or less its current form, a dangerous and risky proposition. My personal opinion is to not understand why NATO and its member states many take for granted that Russia is an enemy ready to invade Europe or to trigger a nuclear war. As if almost nothing had changed since the end of the Cold War. He does not believe that such intransigence hides only Geopolitical interests to protect and justify programs and military budgets?